This is the sixth ramp ceremony I have attended. This time Canada lost three soldiers. They had completed a mission to defuse another improvised explosive device and were on their way back to base when a massive roadside bomb destroyed their armored personnel carrier. After the ceremony, I head back to my shelter in the Canadian Air Wing lines at Kandahar Airfield in Afghanistan. I go to bed, close my eyes, and think about the men who died. Two were relatively young; the other was 38, a seasoned soldier and father of four. Eventually I doze off, with nightmares of what my fellow soldiers’ last moments must have been like. I awake in a cold sweat and bolt upright. Turbine engines whine as a large aircraft a few hundred yards away struggles into a steep departure. A siren sounds and a British-accented voice announces, “Rocket attack, rocket attack, rocket attack.” I check that all my arms and legs are still attached. I must have been awakened by the impact of yet another rocket from the surrounding insurgents. I lie back down so that all of me is below the concrete barriers that surround the shelter. I reach under my bed, fumble for my flak vest and helmet, and suit up while lying flat. I try to go back to sleep; I have another big day tomorrow. I command the Chinook Flight of the Canadian Helicopter Force Afghanistan, Canada’s first expeditionary force with helicopters in a combat theater. We previously had Chinook C models, but those were sold to the Dutch. Since 1993, Canada’s army aviation fleet has consisted of only the light utility/reconnaissance Bell 412 Griffon. 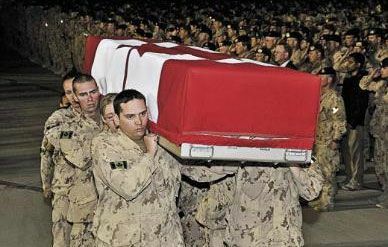 Since January 2002, Canada has contributed a significant number of boots on the ground to the war in Afghanistan, but without any helicopter support. We desperately needed armed helicopters, but more importantly, medium- to heavy-lift support to get our men and women off the dangerous Afghanistan roads. The Canadian government bought from the U.S. Army six D-model Chinooks already in service in Afghanistan. In March 2008, a few of us were sent to Alabama so the U.S. Army could train us in flying the Chinook D. By October we were in theater, and in late December we took possession of our Ds, now with the type designation CH-147. We started flying combat missions almost immediately. The day after the nighttime rocket attack, I had an early morning start with mission briefings, and shortly thereafter we were out the door to move passengers and equipment between Kandahar and various forward operating bases. I was the air mission commander for two Chinooks, escorted by four armed Griffons. The plan was to move 200 Canadian soldiers, who for two days had been conducting operations against the insurgents, from a remote location to their secure base. After breakfast, we were briefed that another Canadian company had just struck a roadside bomb and lost three soldiers, and had several wounded. The casualties had been extracted, but the company commander had requested Chinooks to pick up the remaining company members and fly them back to their base, lest they detonate more bombs on the drive back. Arriving at the release point in the desert, several miles south of the landing zone, I was advised that the LZ was taking enemy fire. When the all-clear came, and we were 30 seconds out, the ground forces popped colored smoke. The LZ was clear—to both me and the enemy. We came in fast and I stood the helicopter on its hind legs to brake our speed as quickly as possible. When the aft wheels touched down in a muddy poppy field, Jake, my lead flight engineer, lowered the ramp. 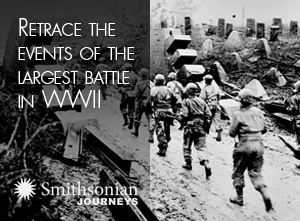 Within 30 seconds a bus-load of soldiers ran aboard. Jake raised the ramp, and I snapped us back up. While my first officer, Jay, was flying, I looked back into the cabin. Tired and dirty soldiers were hunkered down, all with big smiles of relief. There is no certificate or medal that can compare to that moment.